Still having trouble thinking of which amiibo figurine to pick up first? There aren't a lot of extra crazy options for games out there besides Super Smash Bros, but here is some news that might make your decision a little easier. 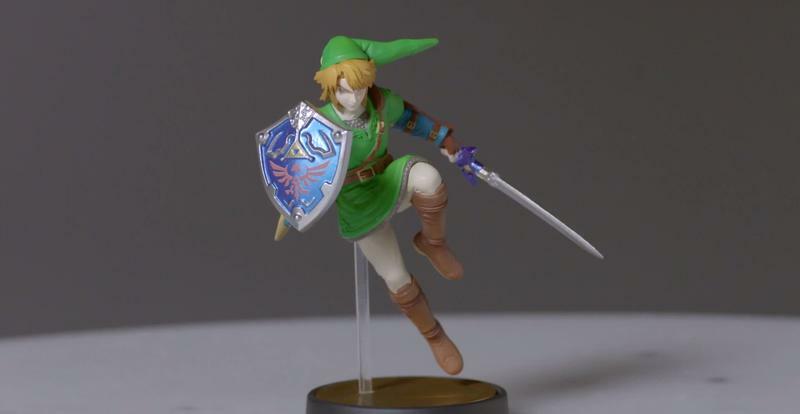 Nintendo has announced plans to let the Link figurine interact with Hyrule Warriors. That's about all we have so far. It hasn't said how or in what way that the Link figurine will affect the game. It has just stated that it will. Power-ups in battle perhaps? Bonus experience? Aid in shifting the tide of battle into the Hyrulian force's favor? I'm still at a loss for how these things work with Super Smash Bros. (Editor's Note: It's been touched on briefly by Nintendo. – Joey), let alone Captain Toad: Treasure Tracker, Mario Kart 8, or the other games with no official confirmation as to how they work. Hyrule Warriors is just another big question mark in the mystery of the amiibo. Regardless, Nintendo will surely let us know before the Nov. 21 launch of the first amiibo figurines. It's excellent that characters will have an affect on the games from their specific series, but it's also a shame that there is no Fire Emblem game on the Wii U. Man, I want that Prince Marth figurine.